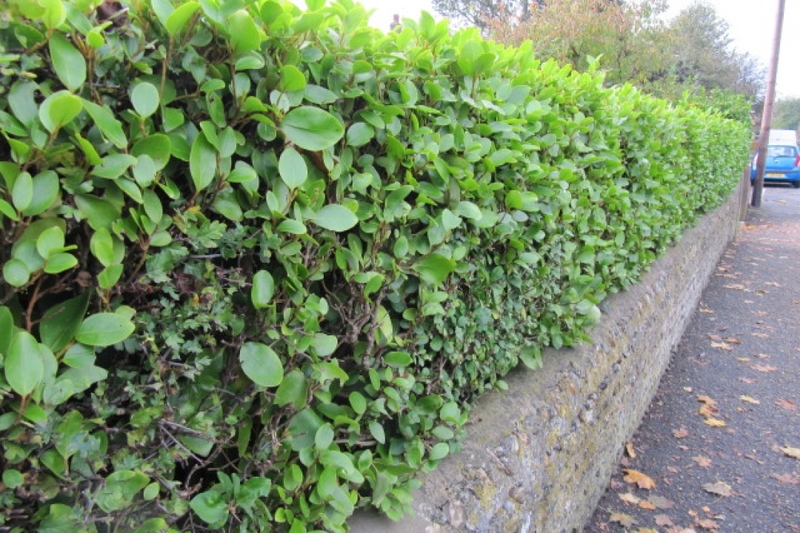 Kapuka (Griselinia littoralis): growing, planting, caring. 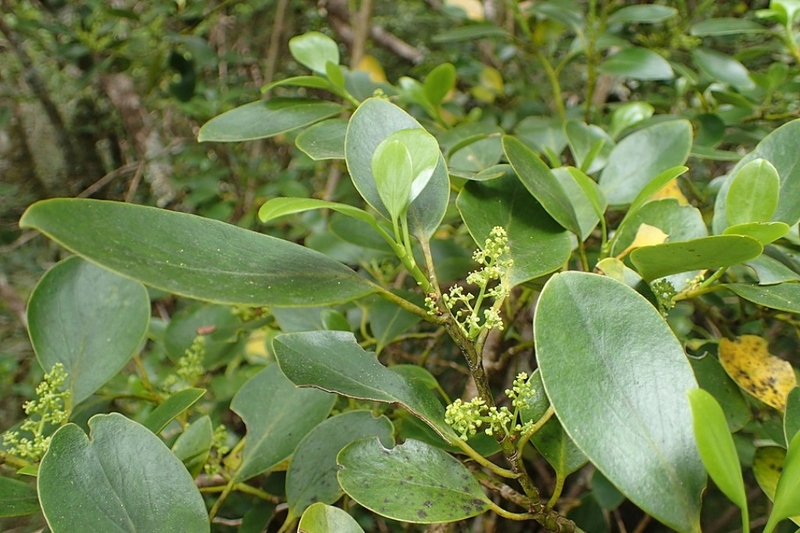 A native to New Zealand, becoming widely spread in other areas of the world, especially coastal regions with mild oceanic climates such as the south coast of Great Britain, where it is valued for its tolerance of salt carried on sea gales. 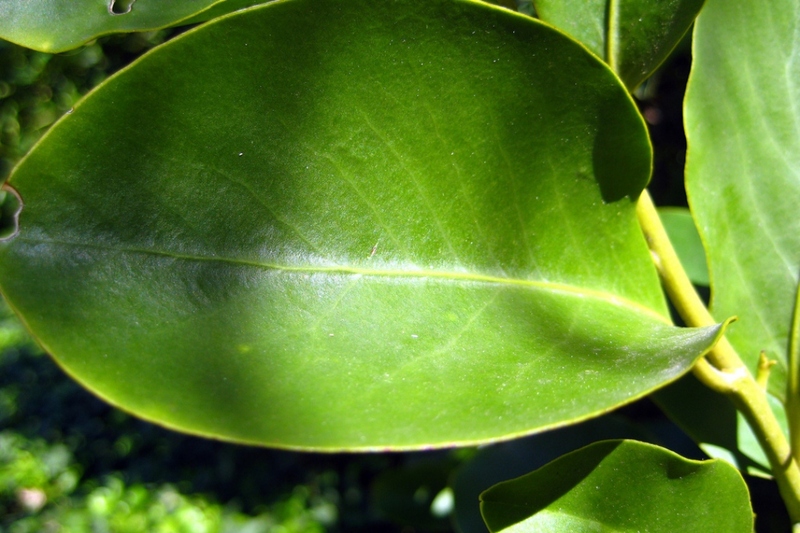 Griselinia littoralis is an evergreen shrub with a round shape and dense foliage. The leaves are alternate, leathery, glossy yellow-green above, paler and matte below, 6–14 cm (2–6 in) long, oval with a smooth margin. You can grow your kapuka in pot, or outside in the region with mild winters! Outside, plant in very drained soil, in full sun. Be careful, if your soil is calcareous, some cultivars might not accept it. Make a 20/30 cm planting hole, wider than the root ball, and if your soil is heavy, plan for 20 cm of gravel at the bottom of the hole. Empty two watering cans in the planting hollow that you have shaped for this purpose. In pots, plant in a large pot pierced at the bottom (5 liters or more), with a cup, in a mixture of potting soil or very ripe compost, on a layer of gravel. Water after planting. At the beginning of the summer, cut asymetric stems. You can cut your kapuka back gently by pruning the longest branches. Always prune after flowering - best enjoy its fragrant flowers and the buzz of the bees ! The kapuka prefers well-drained soils and fears excess moisture, which can be fatal. If yours is in open soil, no need to water it except in case of severe drought. In pots, water on average once a week, with non calcareus water. Mulch in a thin layer to avoid competition, since your kapuka doesn't do well in overly cool soil. You may also use a mineral mulch — gravel will do the trick — that you won't have to renew. After a few years in the same pot, your kapuka will appreciate that you renew a portion of its land, or even that you provide a larger container. Remove it from its pot by holding it at the base of the trunk. If it seems blocked, cut the roots that have passed through holes in the bottom of the pot. Provide a new mixture of heathsoil and sand. Bring in your plant, to a cold and bright room in October. Bring your westringia out as soon as the severe frosts are over.